Reference number for this case: 7-sep-54-Marseille. Thank you for including this reference number in any correspondence with me regarding this case. [Drawings:] The flying saucer as the residents of Franklin-Roosevelt court saw it. Will Marseille become the international capital for the flying saucers? For more than two months, the "visions" have followed one another with a rare intensity. Tens of correspondents lengthily wrote us to tell us that there is indeed "saucers in the air". Each week, with a commendable obstinacy, a photo hobbyist brings photographs to us - of a stunning veracity - of the supra-celestial phenomenon. One could even, soon, organize a French championship of the saucers "lookers". But let us drop the easy mockery and try to keep a neutral attitude in the rough controversy which has established between the "visionaries" and the others, those who, fiercely, have their feet... and their eyes on the ground. It is thus in the most possible objective manner that we want to report a serious testimony, of a serious personality. A man who, up to now, is not classified among the jokers saw, Tuesday evening, from 8 p.m. to 8:07 p.m., a flying saucer evolve above the city, slowly as in a walk, stopping for 30 seconds and tracing on the "ceiling" a luminous loop, as a star which would have inclinations for coquettery. It is Mr. Guibert, administrative secretary of the Colonial Institute, domiciled 45, Franklin-Roosevelt court, formerly Devilliers court. "I live in Franklin-Roosevelt court, in a building whose frontages are respectively directed South-South-East and North-North-East. "A 20 hours precise, whereas I read my newspaper in my room, my wife who was closing the shutters called me. She was then on the terrace of the northern frontage. She stated me to see, with the naked eye, a kind of abnormally large star, of vermillon red color, shining of light and moving slowly. "I approached the window too and saw the phenomenon myself, at 45 degrees approximately halfway between the horizon and the zenith. Indeed, the luminous ball advanced. I could locate its altitude exactly. Not believing my eyes, I took some binoculars. "I distinctly the object, obviously more distinctly. It had started in the full North and it moved slowly, marked a thirty seconds pause, and continued its course. Suddenly, it drew an outer loop in the sky (see the plan) and set out again in the same direction to disappear at the top of a pack of fog, direction Nord-Nord-Est this time, at high altitude it seems. "My wife, myself, and my twelve years old son Francis, observed the travel of the machine during exactly seven minutes, stopwatch in hand. "I drew my vision", as it passed in my visual field. "I saw it, thanks to my binoculars, to grow bigger little by little, rock on his axis. Lastly, I saw only a sphere of light, becoming increasingly intense. "Even the core of the saucer - if this is a saucer - scintillated extraordinarily. "I lengthily studied the art of ceramics and I am obviously interested in the colors. The red became more intense, vermilion red. At this time I evaluated this red bright vermilion as correspondent to an industrial temperature from 700 to 800 degrees. "In a flash's time , the phenomenon took a white, incandescent color, equivalent to a temperature of 1200 to 1800 degrees. This evening there, if you remember, the fog was rather thick. And the released light pierced through this fog! My wife, my son and me remained amazed. Did we witness the passage of a meteor? In the affirmative, why this slowness of evolution, this thirty seconds stop and this outer elegant loop described in the sky? "Have we been the victims of a collective vision? "I do not think so. My wife saw it first. I then scanned the sky with the binoculars and observed the same characteristics. "We make our observation available to the experts of the matter." September 7, 1954, from 8 p.m. to 8:07 p.m., a luminous object appeared in the Northern sector of the sky of Marseille... Saucer or odd meteor? The testimony that we have just quoted adds to those, duly authorized, of many scientists and aviators of all countries. The skeptics still have the right to doubt, but nobody can deny anymore the fact that there is something unexplained, if not abnormal, in the air. [Diagram on the right:] Mr. Guibert had time to make a sketch of the trajectory of the luminous ball. Science fiction writer and also pioneer of French ufology Jimmy Guieu gives the following details on an observation in Marseille on September 7, 1954. Mr. Guibert was in his room, reading his newspaper, at 08:00 P.M. precisely. The frontages of his building looked to the South-South-East and to the North-North-East. It was his wife who, when closing the shutters from the terrace on the Northern frontage, called at him to come see what she saw, a sort of abnormally large star of bright red color which moved slowly. Mr. Guibert approached the window and saw it, noting that its elevation was 45 degrees, that the ball advanced slowly and that he could not give the exact altitude of it. Not believing his eyes, Mr. Guibert sought binoculars for a better view. The object had started from the full North, progressed slowly, marked a motionless pause of thirty seconds and continued its flight path, then suddenly drew a loop in the sky, to take again its initial course then to "disappear upwards", in a bench of fog, direction North-North-East this time and at what appeared to be a high altitude to the witness. Mr. Guibert, following the thing with the eyes with his wife and his son, timing the sighting using a stop watch, and he established that the duration of the sighting was precisely seven minutes. He also drew the object as it progressed in his visual field. Mr. Guibert notes that at the time when the red of the object became vermilion red, this bright color would correspond according to him to a temperature of a ceramics industrial furnace at 700 - 800 °C. He indicates that in the time of a snap, this color changed to a glowing white equivalent to 1200 to 1300 °C in such a furnace. He notes that there was a heavy fogging and that the light of the object pierced the fog. Thanks to the binoculars, he managed to see that the object had grown bigger little by little, and that it had rocked on its axis, progressively taking the appearance of a simple luminous sphere of increasingly intense luminosity, with a core twinkling extraordinarily. Jimmy Guieu notes that explanation in the Press, which was that it was a meteor, is foolish, and that the observatory of Marseille remained silent on the matter. Jimmy Guieu indicates that there is a flight path diagram of the trajectory of the object on page 177, but I did not find it in my non-first edition of the book. Aimé Michel reports that a 7 minutes observation took taken place on September 7, 1954 in Marseille, with three witnesses, Mr. Guibert, administrative secretary of the Colonial Institute, his wife, and his 12 year old son. Mr. Guibert followed the flight from the east towards the west of an object which followed a complicated trajectory comprising a loop. He observed the object using binoculars and perfectly saw that he had a flat circular shape, luminous of red color, and at the time of the turns, it became glowing white while it banked. The two authors indicate that in Marseille in the Rhone delta, on September 7, 1954 at 08:00 p.m., three people observed a luminous sphere during seven minutes.  It remained stationary at one time during thirty seconds in the sky. The authors indicate as source the newspaper "Le Provençal" for September 9, 1954. That same evening [September 7, 1954] near Marseille. Exact time not known. An extended sighting of a UFO by some people near the city of Marseille in the south of France was another highlight of September 7th. A family of three, M. Guibert, Managing Secretary of the Colonial Institute, Mme. Guibert-, and their 12-year-old son, observed a strange object move west to east across the sky. The red-colored, circular, flat, luminous (the witnesses had binoculars) object travelled a complicated course through the heavens which kept it in view for almost seven minutes, at one time even performing a loop. M. Guilbert also said that when the object made a turn, it "swayed" and became tinted an incandescent white. 40. 40. Guieu, Jimmy. Blackout sur les Soucoupes Volantes. Paris, France: Fleuve Noir, 1956. These two authors and ufologists indicate that on September 7, in Marseille, between 08:00 P.M and 08:07 P.M., a luminous ballet was seen in the sky, which was the topic of an article in the newspaper La Provence. They also state that "on this same date", Mr. C., his wife and their 12 year old son observed from their terrace directed in North, a circular shape becoming vermilion red, then glowing white, which was a luminous mass moving slowly from the East to the West. The phenomenon had been motionless during thirty second then had flown a broad loop before taking again its progression. The Belgian ufologist indicates that in 1954, on September 7 en France à Marseille, "At 20:00 Mr. Guibert is called by his wife who prepares to close the shutters in the northern frontage, to come to see an abnormally large star of red vermilion color. This thing advanced, marked a 30 seconds downtime, then continued on its trajectory, suddenly drew an outer loop in the sky and disappeared towards the ESE at high altitude. The witnesses could see this thing, stopwatch in hand, during exactly 7 minutes." The sources are indicated as "Jimmy GUIEU: 'Black-out sur les S.V.' - Fleuve Noir 1956 - p. 124, 125. Luc Chastan indicates in his database that in the Bouches du Rhône in Marseille on September 7 at 20:00 "Three witnesses of the same family observe a circular, flat object luminous of red color. The object moves from East to West with many arabesques among which a loop. At the time of the turns the object rocks and takes a white color. Part of the observation was made with the binocular." The sources are indicated: Ovni, Premier dossier complet... by Figuet M./ Ruchon J.L. ** Alain Lefeuvre pub. 1979" and "M.O.C. by Michel Aimé ** Arthaud 1958". The website indicates that on 7 September 1954 at 20:00 in Marseille, France, "Flat circular red luminous object, complicated course, seen through binoculars, swayed when it turned." And: "A flying disc was observed. One red disc was observed by three witnesses in a city for seven minutes (Guibert)." The sources are indicated as Guieu, Jimmy, Flying Saucers Come from Another World, Citadel, New York, 1956; Michel, Aime, Flying Saucers and the Straight-Line Mystery, S. G. Phillips, New York, 1958; Vallee, Jacques, Computerized Catalog (N = 3073); Schoenherr, Luis, Computerized Catalog (N = 3173); Hatch, Larry, *U* computer database, Author, Redwood City, 2002. *Sep. 7, 1954 - At eight o'clock in the evening three members of the Guibert family in the city of Marseille, France sighted a red luminous spherical object that hovered for 30 seconds, then flew in a complicated course. It was seen through binoculars, and swayed when it turned. The entire sighting lasted seven minutes. (Sources:Aime Michel, Flying Saucers and the Straight Line Mystery, p. 39; Michel Figuet & Jean-Louis Ruchon, OVNI: Le Premier Dossier Complet des Rencontres Rapprochees en France, p. 73). Michel Figuet and Henri Julien keep the name of the witness confidential in their 1993 book, but it is rather obvious that this is Mr. Guibert sighting, as narrated by Jimmy Guieu in 1956 and Aimé Michel in 1958. If one wants to consider that the loop described by Mr. Guibert was acceptably not that a fast maneuver, then, I do not understand why this could not have been a balloon, a weather balloon, maybe a high altitude balloon, which move slowly, capable of being motionless at times and to fly in curves at other times, and which show precisely this type of change of colors as the sun sets including after being beyond the visible horizon to the observer. Conclusion: Probable balloon, unless contradictory data would surface. I feel some generic explanation may help. On April 22, 2002, I received several reports of a strange object in the skies of Southern France. They were caused by a high altitude balloon, which was officially acknowledged by CNES. The balloon was launched by Météo France, the information being confirmed by the technicians of the Toulouse Blagnac Airport. None of the witnesses spoke about little green men. Some even wondered if this may have been a balloon. One of them wrote, "Tout d'abord j'ai cru qu'il s'agissait de Vénus, mais la couleur tirait trop sur le rouge." and "J'ai pensé à un ballon sonde éclairé par le soleil mais il semble que l'"objet" était visible également de Marseille." Notice that once again in this case, the descriptions and sketches by the witnesses have been totally accurate in every detail; there was no lie, no fake photographs, no UFO cult, no panic, no stupidity and no claims of proof of any ET presence. Only the interpretation was missed, for example with this witness who did thought of a balloon, but could not know that it would be visible from the wide area it has been visible, and because of this very understandable technical error, thought it may be something else than a balloon. Sketches and photographs of the event were made and sent to me by several witnesses. Notice the change of color. 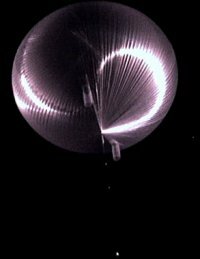 The color is white at first, because the light yellow/white sun is reflected on the balloon's reflecting envelope. As the sun sets, the sun casts a more and more reddish light. The sky darkens. Somebody else took this snapshot of the same balloon earlier. Notice how the balloon is firstly glowing white, then orange, then red, then glowing white again. The hypothesis is that the balloon turns red a certain time after sunset. This is because the balloon is high; it is not exactly at sunset that the color change happens, not when the sun sets for the observer on the ground, but later, when the sun set would happen for an observer who would be on the balloon. If the time interval matches between one certain balloon case and the 1954 sighting, a probable balloon case for reasons indicated above, then the chances that it was not a balloon are so slim that I demand proof that it was not a balloon to anyone challenging my balloon theory. It happens that this more recent balloon case has all the data I need, so does the 1954 case. This means that the sunset effect on the balloon happens one hour after the sunset on the ground. This means that the sunset effect on the balloon happened also one hour after the sunset on the ground. (*) A witness wrote to me: "I think it was lit by the sun, since at 09:00 P.M. (not precise) the light became of orangeish color." 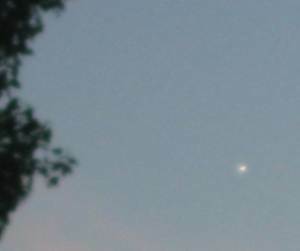 Another witness also at Toulouse wrote to me: "...I confirm that I too saw the object in the sky last evening at about 08:50 P.M. ...it was still daylight. ... It remained motionless until the night fell, when she became red ... Then its luminosity lowered progressively to resemble more and more a normal star starting to drift quite fast ... The glare dimmed and disappeared at bout 10:15 p.m."
The hypothesis is tested positive: it provides one more reasonable evidence for the balloon theory. In my opinion, challengers of my balloon theory now have the burden of proof on their shoulders. It is almost certain that Mr. Guibet's sighting in 1954 was the sighting of a balloon. In this case again, the witness description is so correct that it allowed the identification of the cause. All should bear this example - among many other - in mind when witnesses descriptions are of extraterrestrial spaceships and/or their occupants. People descriptions are generally accurate. [lp1] Article in the regional newspaper Le Provençal, Marseille, France, September 9, 1954. [jg1] "Flying Saucers Come from Another World", book by Jimmy Guieu, English version of "Black-Out sur les Soucoupes Volantes", Citadel Books publisher, USA, 1956. [jg1] "Black-Out sur les Soucoupes Volantes", book by Jimmy Guieu, Omnium Littéraire publisher, pp. 124-125, 1956. [am1] "Mystérieux Objets Célestes", book by Aimé Michel, Seghers publisher, France, page 53, 1977. [lg1] "UFOs: A History - 1954 - September", monography by Loren E. Gross, USA, page 10, 1991. [fj1] "OVNI en Provence", book by Michel Figuet and Henri Julien, Editions de Haute Provence publisher, France, page 68, 1993. 1.0 Patrick Gross January 5, 2010 Conversion from HTML to XHTML Strict. First formal version. Additions [go1], [lc1]. 1.2 Patrick Gross November 29, 2016 Additions [lg1], [ub1]. This page was last updated on November 29, 2016.